This is a one in 53,000,000 scale walk along the solar system starting in Taunton and heading off along the Bridgwater & Taunton Canal. 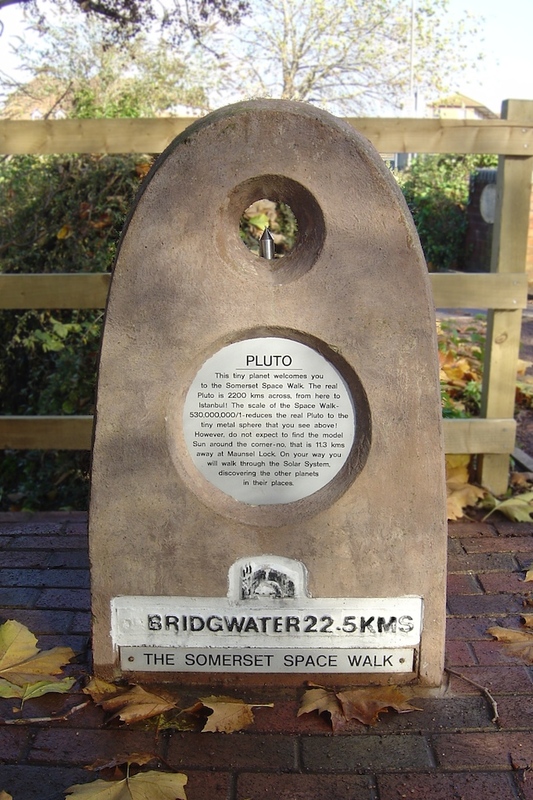 The walk is 13 miles long centred on the sun at Maunsel Lock. In the middle of the stone you will see a steel needle, perched atop this is a scale model of Pluto! Note that the scale is actually 1:530,000,000, not as stated above (look at the inscription on the statue).